With the recent arrival of the Honda Clarity, there are now three automakers offering cars powered by hydrogen fuel cells. 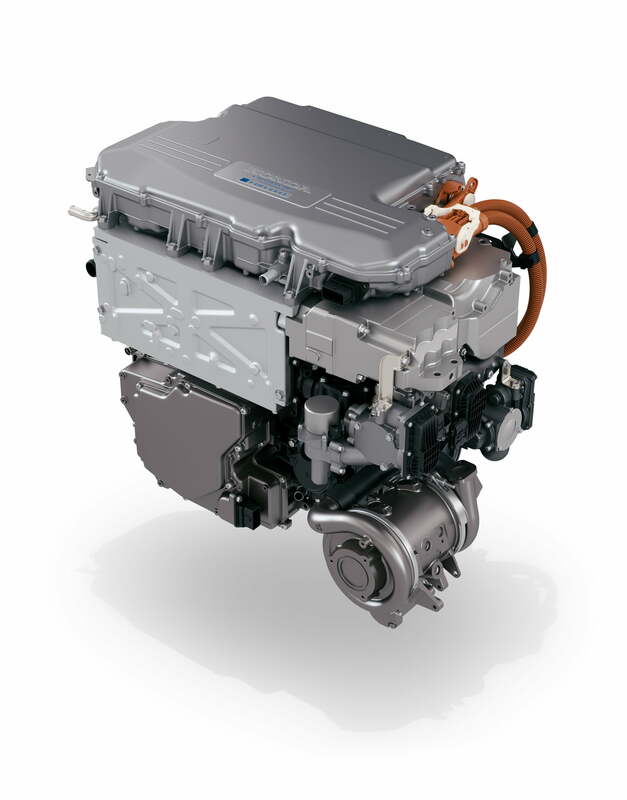 The first was the Hyundai ix35 in early 2013, and then came the Toyota Mirai — and more than a dozen other automakers have fuel cell vehicles in development. Driving a hydrogen-powered car has some ups and downs. On the plus side, you get the green benefits of an EV without the range anxiety, because you can refill the car with more hydrogen. On the minus side, hydrogen refueling stations are rare – at least for the moment. It’s also challenging to obtain hydrogen in a way that’s both green and efficient. Further, as with any new technology, there’s some understandable hesitation to be among the first people to take the leap and commit to several years (at least) with a power source that may or may not work out. But keep reading and we’ll give you enough background that you can make your own decision. A hydrogen fuel cell is a simple machine. The core of the tech is a proton exchange membrane. On one side of the membrane you have pure hydrogen, and on the other side you have ordinary air. Ordinary air is about 80-percent nitrogen and 20-percent oxygen, plus trace amounts of other stuff. The proton exchange membrane is critical, because hydrogen and oxygen atoms really like to be together. Specifically, two hydrogen atoms and an oxygen atom always want to get together and create a water molecule. It’s a beautiful thing. Don’t judge. The membrane will allow hydrogen atoms to pass through to the oxygen, but only if the hydrogen atom gives up its electron on the way. We cleverly put some highly conductive metal like platinum on the walls of the fuel cell, so the electrons go there and run all the way around the fuel cell to get back to their hydrogen atoms; that action creates electrical current that we can use. When the oxygen and hydrogen are all coupled up and complete again, we’ve got a water molecule and some electricity for our trouble. If you consider only the fuel cell, you can get energy without creating any pollution. Genius! The first problem with that rosy scenario is that hydrogen and oxygen love each other so much that free hydrogen doesn’t really exist in our atmosphere. It’s all been turned into the water that covers most of the planet. So before we can get that energy, we have to make some loose hydrogen to put into our hydrogen fuel cell. There are a lot of ways to get hydrogen, and some are wackier than others. In the 19th century, people used to drop iron filings into barrels of sulfuric acid. The reaction produced hydrogen gas, which they ducted into balloons to go up in the air. It works, but it’s really not feasible on a large scale, and there are literally barrels of toxic waste involved every time you use this method. Let’s call that one a non-starter. You can also use electricity to break apart water molecules using electrolysis, and you get pure hydrogen and oxygen. That’s great, but the laws of thermodynamics dictate that you’ll never get as much electricity back out of the hydrogen as you put into the system to break up the water molecules. You’d be better off using the electricity to charge a battery. Plus, a lot of our North American electricity is still made by burning coal, which is decidedly not green. The third way to get hydrogen is equally problematic. You can reform natural gas, cracking the hydrocarbon molecules to break the hydrogen loose. But that means you’re still dependent on fossil fuel, and when you break out the hydrogen for your green power, you also produce carbon dioxide, which is a greenhouse gas. The irony is enough to power a whole city of hipsters. Before we close on hydrogen generation, research is being done on photosynthesis of the element using algae. It remains to be seen if that will work on a large scale, but it’s better than some of the other methods that have been tried. The problem of creating loose hydrogen is the snag that keeps it from being a perfect fuel. However, it’s still cleaner to reform natural gas (or methanol, which we can make from plant waste) into hydrogen and carbon dioxide than to burn the gas in an internal combustion engine. And with increasing solar generation capability, we can use sun-made electricity to make hydrogen, too. We still suffer the overall thermodynamic loss in converting sunshine to electricity to hydrogen to electricity, but at least we’ve got a lot of sunshine to use, and it doesn’t create a greenhouse gas in the process. Of course, you have to make the solar panels, and that comes with its own challenges. So while it’s not perfect, hydrogen is still a pretty good fuel. It’s better than burning refined crude oil, for sure. If you live anywhere in America other than greater Los Angeles or the San Francisco Bay Area, this is all still kind of academic for you. Right now, the vast majority of the nation’s hydrogen fueling infrastructure is in California, and there aren’t that many stations. In Northern California, you can get hydrogen from six stations in the Bay Area, one station in Sacramento, and a lone station in Truckee on the way to Reno. In Southern California, you’ve got 16 stations in the Los Angeles area, plus a station in Del Mar near San Diego and a single station in Santa Barbara. There are a lot of ways to get hydrogen, and some are wackier than others. However, it’s worth noting that there are at least 20 new stations scheduled to open in California this year. The new stations are all in the L.A. and Bay areas, so while new regions are not yet opening up, hydrogen is becoming more convenient where it’s already located. The California Fuel Cell Partnership has a map of hydrogen stations. You can check and see if you live and work close enough to a hydrogen station to make it work for you. 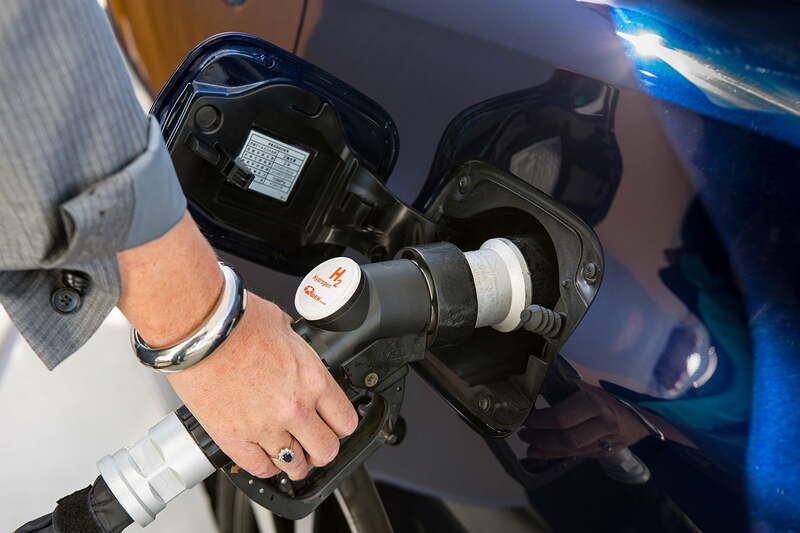 The U.S. Department of Energy also maintains a nationwide map on its Alternative Fuels Data Center website, but the only hydrogen stations listed outside California are one in Massachusetts, one in Connecticut, and one in South Carolina. 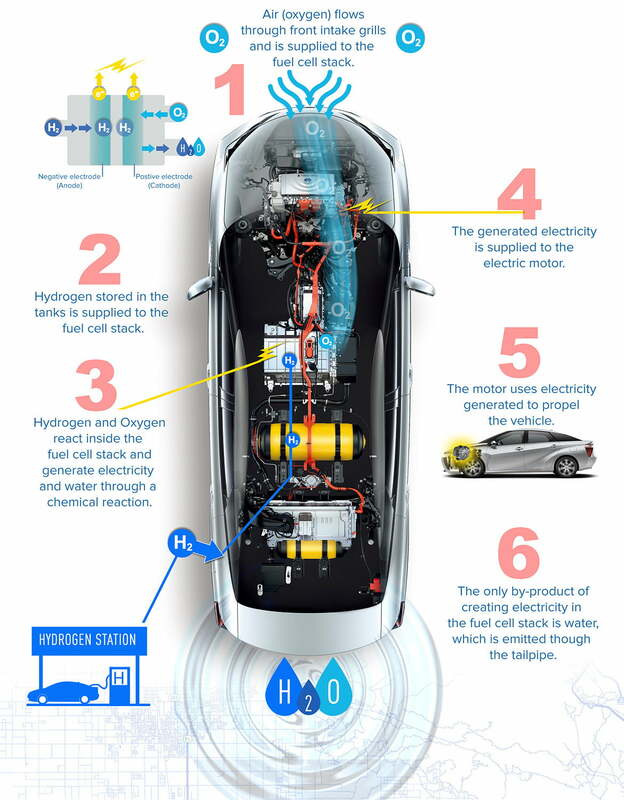 To really understand the hydrogen-powered car, you have to look at it in the bigger context of electric vehicles. A cardinal rule of alternative fuels is that there is not one single solution that will work in every case. Battery electric vehicles are likely to take a long time to recharge for the foreseeable future, and affordable electrics will have limited range. Hybrids and even plug-in hybrids still use fossil fuels at some level, but you can get into them and drive long distances with easy refueling. Hydrogen power bridges that gap, giving you a zero-emissions vehicle that you can refuel like a gasoline-powered car, provided there is a hydrogen station where you need it. Within that context, there’s a place for hydrogen-powered cars in our world.